← Coconut Rose Panna Cotta & Peaches! Coconut shrimp? That’s been around since the ’70s…or the ’80s…nay, the ’90s—whatever era it was, it’s still going on. Shrimp tempura? Been there done that. This recipe’s tangy, smoky, caramelized flavors burst in your mouth after each bite. 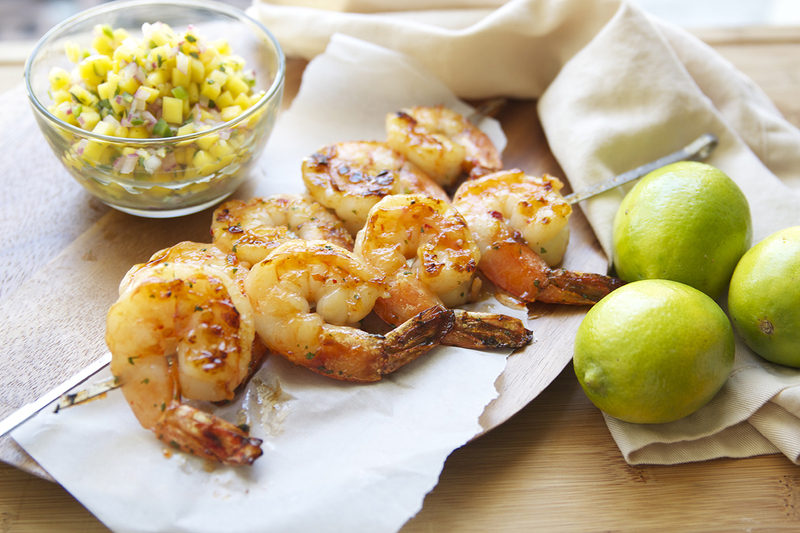 Pair that with some spicy mango salsa, and you’ve got yourself a little something. This is also perfect for all the gluten-free lovers, while you others can add grilled tortillas to make some filling Asian/Mexican fusion tacos. Either way, your guests will be impressed and will probably steal this from you!